My hubby was cleaning out the pool skimmers this weekend and when it flipped open the lid, this is what he saw. 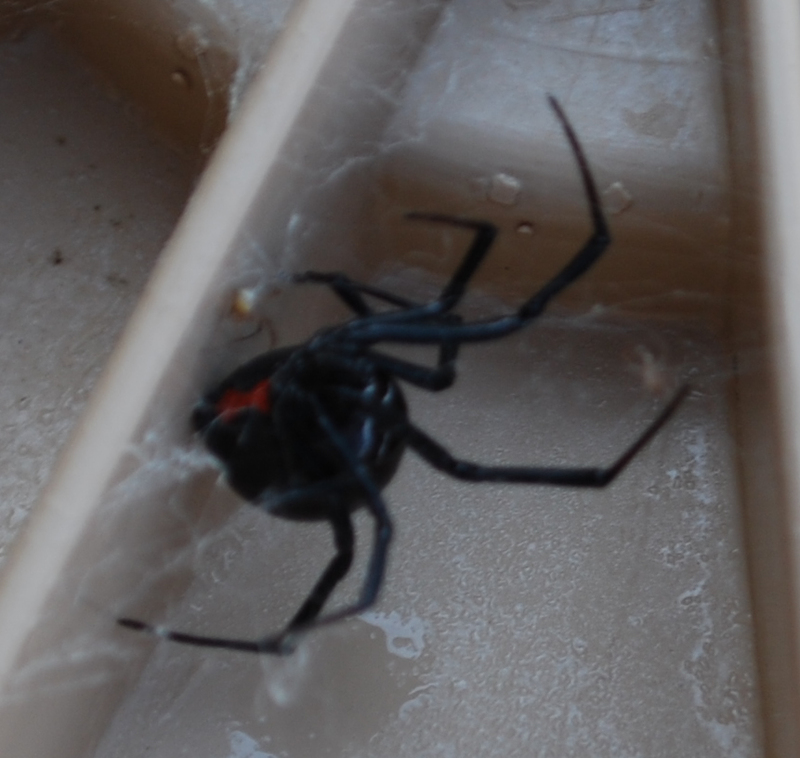 It's pretty scary to see a black widow inches away from your fingers. Lesson learned: From now, use a stick to open the lid...just in case.